Find out about acupuncture or make an appointment now. Acupuncture is a component of the traditional Chinese health care system. This healthcare practice can be traced back thousands of years. Acupuncture stems down from a general theory based on the premise that patterns of energy flow known as “Qi” exists through the body believed to be essential for good health. The Chinese believe that it is the disruption of this flow that are responsible for diseases. It involves the stimulation of specific points of the body (usually by the insertion of thin needles through the skin). Acupuncture was rarely used to treat identifiable pathophysiological health conditions in America and in the western world until President Richard M. Nixon visited China in 1972. There has been wide publicity and general acceptance in the use of acupuncture techniques in Europe and America. Even techniques of acupuncture are now well applied to western medicine. Acupuncture is beyond the insertion of needles, it is a family of procedures involving the stimulation of different anatomical points in or on the skin by the different array of techniques. American acupuncture has developed different ways of approaching the diagnosis and treatment of health conditions by incorporating the traditional acupuncture practices from Japan, China, Korea, Taiwan and other countries alike. The most used and thoroughly studied way for stimulating acupuncture points involves the penetration of the skin by solid, metallic (stainless steel) fine but very thin needles. These needles are often manipulated either by electrical stimulation or manually. There are different treatment methods that originated in the far east and their medical systems and acupuncture are just one of them. Others include herbal therapy, specific dietetics, and QiGong (a system of physical exercises). Chinese traditional medicine and these practices are believed to be a complete and coherent system of medicine including its pathology, disease terminologies, therapeutic and diagnostic methods and the specific human physiology. Acupuncture has been proven to be effective in the treatment of 117 conditions or diseases under case-controlled clinical trials. Of these conditions, acupuncture has strong evidence for the effectiveness of 8 conditions. In January 2017 a Comparative Literature Review, called the Acupuncture Evidence Project, was published on the evidence for acupuncture. The review found that 117 conditions responded positively to acupuncture treatment. Of the 117 conditions, 8 were found to have strong evidence of positive effect. These conditions include migraine prophylaxis, headache, chronic low back pain, allergic rhinitis, knee osteoarthritis, chemotherapy-induced nausea and vomiting, post-operative nausea and vomiting and postoperative pain. They categorised the remaining conditions into potential positive and unclear. Thirty-Eight conditions were potential positive and 71 conditions were unclear. From these findings, we can say that acupuncture is effective for the treatment of certain conditions. As the research continues at the quality it is being produced recently, we are hopeful that we’ll be able to make claims for its ability to treat more conditions. 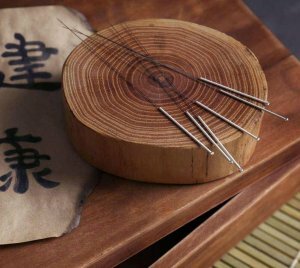 Bear in mind when considering acupuncture, that acupuncture within a Chinese medicine clinic is only one method in an array of methods used to restore health. Other methods used that may enhance the effectiveness of an acupuncture session may include cupping, Chinese herbs, heat treatment and massage. It may also include advice on diet, exercise and relaxation exercises. By incorporating more methods than acupuncture alone has the potential to enhance the overall effectiveness of treatment within a Chinese medicine clinic. Wanting to know how acupuncture works? Check out How Does Acupuncture Work? Making your acupuncture Antigonish appointment is easy. Try the online booking system and make an appointment now.